You'll be £4.99 closer to your next £10.00 credit when you purchase Empire and Espionage. What's this? 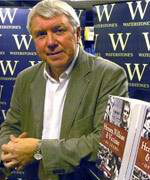 The Anglo-Zulu War may be best remembered for the military blundering that led to the astonishing British defeat at Isandlwana, but as Stephen Wade shows in this book, military action throughout the war was supplemented by the actions of spies and explorers in the field, and was often heavily influenced by the decisions made by diplomats. Examining the roles of both spies and diplomats, the author looks at numerous influential figures in the conflict, including John Dunn, who fought with the British during the campaign, becoming ruler of part of Zululand after its conquest and even being presented to Queen Victoria. Diplomats include Sir Theophilus Shepstone, who was responsible for directing native affairs in Natal, and was so respected by the Zulus they called him Father . This unique and fascinating account of espionage and diplomacy in the nineteenth century demonstrates not only a side of warfare rarely considered in traditional histories of the period, but also gives examples of individuals who were able to earn the respect and trust of the native peoples, another rarely seen facet of the colonial period. This volume explored the role of intelligence on the British side of the Anglo-Zulu war of 1879. The author covers the activities of British spies and diplomats and aims for a broad treatment of intelligence that encompasses localised military intelligence concerning the enemy, the intelligence used in the planning stags of the campaign, the work done by officers allotted intelligence duties, on the ground field intelligence and communication systems, and human intelligence. Thirty illustrations are featured in this 256 page, hardcover book. It illuminates some rather rare and imperial operatives who managed to earn the respect and trust of native peoples and it delivers an intriguing and in-depth account of a key aspect of the war. 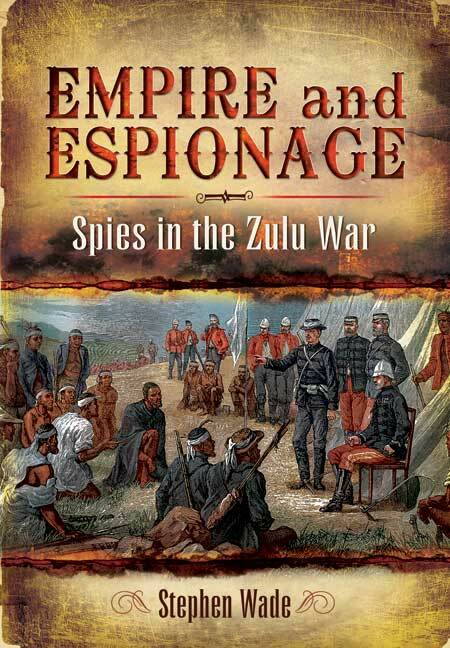 This book provides an analysis of intelligence gathering and implementation during the Anglo-Zulu war of 1879. The author has correctly identified this as an overlooked area in the recent burgeoning of intelligence studies. A wide range of individuals are covered in this engaging study, from commanders and diplomats, to spies and scouts. There are some extraordinary stories described in this book. John Dunn, a settler of Scottish descent who had an intense knowledge and appreciation for Zulu culture, sided with the British during the Angle-Zulu war and eventually became ruler over a significant area of Zululand. Espionage and diplomacy are essential and highly effective tools in any military operation, however, these intriguing aspects of warfare are all too often ignored in traditional histories of the colonial period. In this unique book, Wade addresses this imbalance, presenting an unusual and eye-opening account of the action that takes place away from the battlefield. Throughout the Anglo-Zulu War, both spies and diplomats played key roles in military operations by means of the intelligence they gathered and the connections and decisions they made. This book illustrates the significance of their roles through the engaging device of relating the stories of a number of highly influential individuals involved in intelligence/diplomacy. Individuals such as John Dunn, a British fighter who was to eventually become ruler of part of Zululand upon its conquest. Individuals such as the diplomat Sir Theophilus Shepstone, a man so greatly respected by the Zulus that they awarded him the title 'Somsewu' - the White Father. This captivating book lifts the lid on a neglected area of colonial history and, most fascinatingly, shows us how certain charismatic individuals were able to earn the respect and trust of the natives in these most testing conditions.